The Walmart parking lot never fails to deliver interesting sights. This entry was posted in Life! 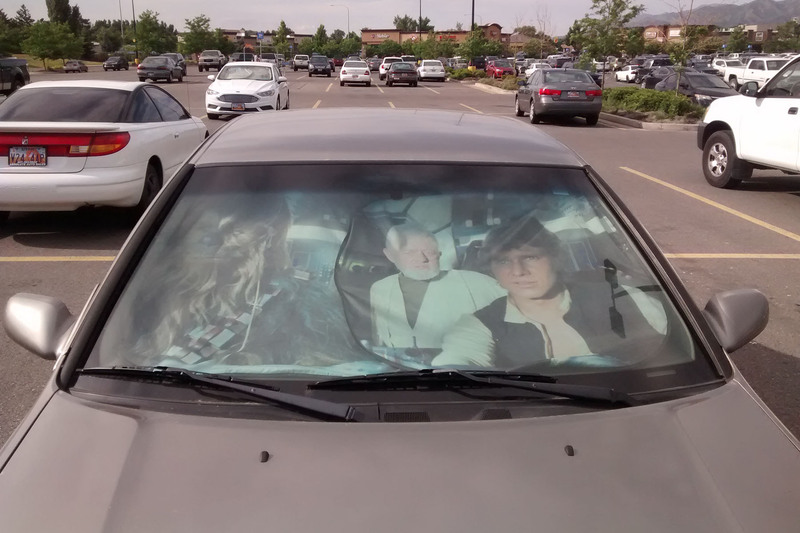 and tagged car sun shade, Star Wars by tarvasalutes. Bookmark the permalink.